african rain: The powerful aroma of a tropical rainforest & lush floral drenched in warm rain. asian rain: This wonderfully exotic, light, clean scent is comprised of sparkly green notes surrounded by watery azalea, lily and lilac with a jasmine and rose heart and a soft woody musk to boot. egyptian musk: A clean, light musk with a hint of mystery. hawaiian rain: Imagine a soft and sweet combination of light rain, tropical heat and the smell of exotic florals filling the air. Mixed in with these heady ingredients are vibrant green notes and deep, warm woods. jade musk: a clean, fresh and alluring scent of delicate white musk, artfully blended with Chinese blossoms, sparkling citrus and creamy hints of vanilla spice. midnight rain: Take a moment and breathe in the beauty of the night rain with the smell of balmy floral, mellow fruity and sensual woodsy notes. ocean rain: The clean scent of rain on the seashore. A mild aroma that offers the introduction to the rain family. ​rain: Rain is our #1 selling scent and the most popular scent to blend with for 10 years running!! A simple blend of green floral, dewy rose, jasmine, lily and lilac with a good dose of fresh musk. 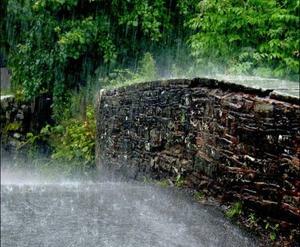 sweet rain: Sweet…rain! If you love rain and florals; this is the scent for you. A divine combination of clean rain notes and light florals. Crisp, clean and VERY feminine. Go ahead, girlie, give it a try. ​tibetan musk: Rich, dark and mysterious best describes this earthy, deep musk.